The Georgia DOT – Transportation Asset Management is available here. This document is focused around the strategic goals of Georgia DOT, which are outlined with their long-term outcomes and an investment strategy. In order to establish asset management principles at the agency, a self-assessment survey was provided to the agency divisions and issues to be addressed were identified using the results. The document then establishes a link between the agency’s strategic plan and performance levels of service. Life cycle management is also addressed for a variety of asset types, followed by an improvement plan. 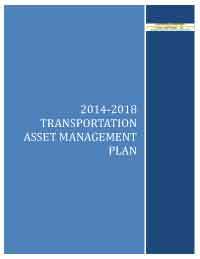 The document also summarizes TAM practices to date and describes the agency’s goals for implementing asset management in the future. This document includes the following sections: Asset Valuation, Communications and Reporting, Current Methods and Tools, Financial Plan, Future Demand, Introduction, Inventory and Condition, Investment Strategies, Levels of Service, Lifecycle Management, Objectives and Measures, Performance Assessment, Process Improvements, Regulatory and Legislative Requirements, Risk Management.